In a surprising move, the Common Council passed the Pitt Ordinance (7-4) designed to prevent The Birth of a Nation’s exhibition in Norfolk. Councilman Pitt and six associates passed the ordinance, attacking the film on the grounds that it was “highly objectionable”, “lascivious”, “insulting to any audience, white or black”, “calculated to arouse race hatred and possibly race riots,” and as “unfit to be displayed in any city.” Pitt personally accused the film of being a “Commercialized Horror.” The decision went to the board of aldermen and the Mayor Mayo for concurrence. As they were deliberating, a riot broke out in Philadelphia over the film. 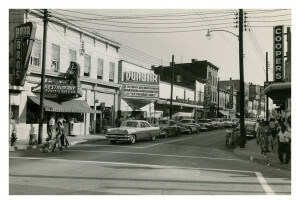 The counsel for the Wells Theatre argued for the city supported the Mayor arguing that the city had the power to stop “any immoral or indecent performance”. Despite the fact that over 38% of the Norfolk population was black and tensions were running high about the film, the southern sentiments of a 6-5 majority of the Aldermen killed the ordinance by referring it to committee and it was eventually screened. It is in this context that the Attucks Theatre was conceived of and constructed. With a seeming lack of options for either political action or self determination in the amusement business, the black community in Norfolk began to seek out and establish alternatives. 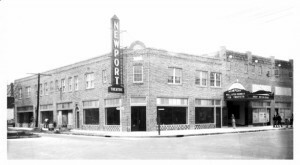 While certain second-run theatres in the teens recognized the economic viability of appealing to the black population, the demand from black community for a first-class movie venue, preferably one owned and operated by the community, remained unsated. The possibility of a fully owned and operated “colored theatre” surfaced in 1919. The E. C. Brown Syndicate from Philadelphia, and the Twin City Amusement Corporation,” an institution being operated by colored citizens’ capital had been issued a permit for the construction of a $125,000 building at 1020 Church street, to be used as a playhouse and to be devoted to the interests of the young people of that section of the city.” The Attucks Theatre quickly became a focal point of Norfolk’s black community’s entertainment and social life on Church Street, On this crowded, busy business thoroughfare, viewed with enormous economic potential, the Attucks the Attucks represented the biggest business investment that blacks had made in Tidewater, and was exchanged on regular basis. As a center of black culture in the “black downtown” of Norfolk, The Attucks was comparable to Harlem’s Apollo. The three story structure of old vaudeville and movie house was a preeminent symbol of the black community’s attempt to deal with the reality of segregation, as they were not welcomed in downtown shopping areas where whites congregated. The Attucks served as a portal to escape a racist society into a world of community, entertainment and celebration. Throughout their existence, theatres in the black community have been used for charity and numerous benevolent purposes including instilling a greater sense of unity among churches, social groups, and the theatres. Placed on the National Register of Historic Places in 1982, The Attucks continues to act as both a center and answer for the black community in Hampton Roads and the nation.